What type of bank should you stash your cash in? Deciding where to open a bank account, invest your money or apply for a mortgage can be an overwhelming process with more than the traditional banking options available. While the Big 5 banks in Canada are a common option for many, depending on your situation you may find that other financial institutions may be a better fit for your banking needs. Are you a new business owner, looking to invest, applying for a mortgage, opening a savings account or are you just looking for day-to-day banking? Decide what banking options are most important to you. Before you start out on your search make notes as to what is most important to you when it comes to your banking needs. This will help to ensure that you will make the best decision that you will continue to be happy with. Some major factors to consider are the availability and quality of customer services, accessibility to your money, convenience and the fees associated with your banking. The Big 5 banks in Canada include Royal Bank of Canada, Toronto-Dominion, Bank of Nova Scotia, Bank of Montreal and Canadian Imperial Bank of Commerce. While there are more than 20 banks with multiple branches across Canada these are the most commonly heard of and utilized banks. If customer service and accessibility top your list of what’s important to you as long as you are comfortable with the bank fees that comes with them then a bank may be an option for you. A bank offers face to face customer service, online and telephone banking and the accessibility to access your money from any ATM machine. While all of these offer convenience they come at a price. Many banks do offer flat rate fees for unlimited usage but the cost can still be anywhere from $10-$15.00 a month. That may not seem like a lot of money but that is $120-$150.00 a year that could have been added to your emergency savings fund or used to pay for a car repair. If day-to-day banking is all you require then something like President’s Choice Financial may be a great choice for you like Mr.CBB uses. He has used PC Financial since he landed in Canada from the UK and his wife for over 10 years and have told me they have nothing but good things to say about banking with PC Financial. It really depends on your needs and what is important to you but for them the money savings has been huge and they don’t miss the traditional banking system that we have all been accustomed to over the years. PC Financial markets themselves as no-fee banking which many people flock to just to save on bank fees. While it certainly is a positive not having a monthly fee you lose the face-to-face customer service and convenience as they do not have branches where you can go in and talk with a teller. You can however talk to a kiosk customer service representative who can set up all manner of transactions for you as well as help you out with any other personal banking needs. 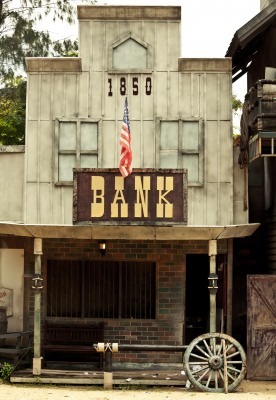 While PC Financial offers most of the same services the traditional banks do, something such as ordering a money order or bank draft is simple when you can walk up to a teller but not so simple when all you have in front of you is a bank machine and/or kiosk. PC Financial is a direct banking division of CIBC so you can call and request a money order or bank draft for a fee and you can pick it up at a CIBC branch. Keep in mind since you are not paying the monthly fee that CIBC clients are paying you are not welcome to all of the services provided in the CIBC branches. While credit unions offer all the services that banks offer, the quality of in-branch service usually exceeds that of a bank. Credit unions are non-profits institutions that are owned by their members. Keeping the owners happy is their priority. Having the non-profit status means that more of the profits are shared with its members/owners through dividends than what is profited by the company. Finding the necessary information you need while researching a Credit Union may require more time and effort than researching a bank. Being a non-profit organization where their main goal is keeping their owners happy and not making a huge profit the funds for big advertising campaigns and marketing are not as readily available. 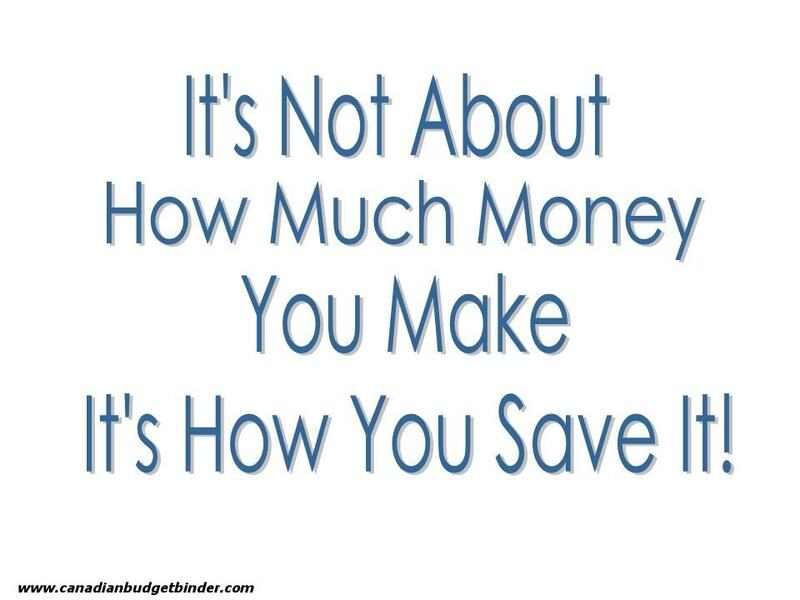 In many cases this also means that the amount of money dedicated to technology is much less. Finding a Credit Union that offers the convenience of online banking and/or smart phone banking apps may be a lot harder than choosing one of the Big 5 banks. By not offering these extra services though they may be less convenient for you though they are able to offer you the banking services you require with lower services fees and generally higher savings rates. Some Credit Unions are set up online so if accessibility is important to you keep looking until you find what you need. While you may find restrictions or membership requirements for joining a particular Credit Union there is one out there for everyone. If you have your mind set on a Credit Union keeping looking until you find the one best suited for you. Some Credit Unions require that you are a member of an affiliated organization or that you make a donation to a specific organization. A common argument when it comes to Credit Unions is that your money is not easily accessible, like the major banks there are not as many Credit Unions around. CO-OP Financial is an interbank network that connects affiliated Credit Unions providing the use of over 30,000 ATM across Canada and the United States. As long as you are a member of an affiliated Credit Union and you see the CO-OP logo on the ATM you can use it without incurring any additional fees. Co-op Financial also offers shared branching between affiliated Credit Unions which allows you to walk into a branch of any other Credit Union in their network and receive the services you require regardless of it not being your Credit Union. There are over 5000 Credit Unions across Canada and the United States that offer Shared Branching. Whether you choose a bank or a credit union to save your hard-earned money you want to know that your savings will still be there when you need them. In Canada the Canada Deposit Insurance Corporation (CDIC), is a federal corporation that insures deposits made in a participating financial institution are protected in the case of bank failure or bankruptcy. Under the CDIC any accounts with a balance of $100,000 or less including interest will be insured so long as the institution you are saving/investing with is a member of the CDIC. If you have more than one account within the same company the $100,000 coverage is for all of your accounts. So say you have $95,000 in one savings account and $10,000 in another in that same company you are only insured for $100,000 not the full $105,000. If you are looking into a Savings account knowing whether or not the organization is protected by the CDIC is something you want to know. Though many people may not worry or think the major banks will ever go bankrupt, having CDIC protection can add peace of mind knowing that your long-term savings are safe. What does the CDIC cover? Any account that is opened within a financial institution that is a member of CDIC will be covered as long as it falls into one of the following categories. Whether you choose a traditional bank, a kiosk or a credit union, all three have benefits to offer and drawback depending on what your individual needs are. What other advice can you offer to someone when choosing a bank or credit union? Another good article Katrina and lots of good information. Food for thought here!!!! Thanks Christine, there is definitely lots of information available to make informed decisions, taking the time to do your research will benefit you over all. I’m surprised that CDIC insurance hasn’t climbed above $100k. That makes it pretty important for people with money to diversify among banks. Diversity is the key to protecting your savings if you are reaching six digits. Thanks for stopping by Joe!